Mahler, Gustav, 1860-1911. Symphonies, no. 5, C♯ minor . Symphony no. 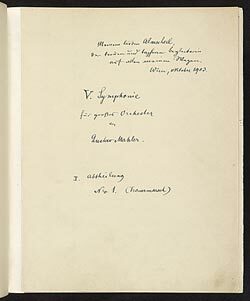 5 in C♯ minor : autograph manuscript, 1903 Oct.